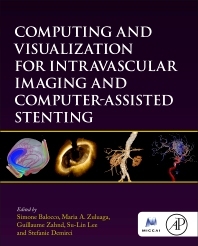 Computing and Visualization for Intravascular Imaging and Computer-Assisted Stenting presents imaging, treatment, and computed assisted technological techniques for diagnostic and intraoperative vascular imaging and stenting. These techniques offer increasingly useful information on vascular anatomy and function, and are poised to have a dramatic impact on the diagnosis, analysis, modeling, and treatment of vascular diseases. After setting out the technical and clinical challenges of vascular imaging and stenting, the book gives a concise overview of the basics before presenting state-of-the-art methods for solving these challenges. Readers will learn about the main challenges in endovascular procedures, along with new applications of intravascular imaging and the latest advances in computer assisted stenting. Dr. Simone Balocco is Associate Professor of the University of Barcelona, Departement of Mathematics and Informatics, and is senior researcher at the Computer Vision Center, Bellaterra. He obtained a PhD degree in Acoustics at the laboratory Creatis, Lyon and in Electronic and Telecommunication in MSD Lab, University of Florence (Italy). He performed a post-doc at the laboratory CISTIB, at the University Pompeu Fabra. Dr. Balocco main research interest are pattern recognition and computer vision methods for the computer-aided detection of clinical pathologies. In particular his research focuses on Ultrasound and Magnetic Imaging applications and vascular modelling. In 2011, Maria A. Zuluaga obtained her PhD degree from Université Claude Bernard Lyon I investigating automatic methods for the diagnosis of coronary artery disease. After a year as a postdoctoral fellow at the European Synchrotron Radiation Facility (Grenoble, France), she joined University College London, in March 2012, as a Research Associate to work on cardiovascular image analysis and computer-aided diagnosis of cardiovascular pathologies. Since August 2014, she is part of the Image-guided fetal surgery project (GIFT-Surg) project as a senior research associate. 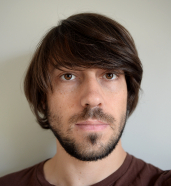 Guillaume Zahnd received his engineering degree from the National Institutes of Applied Science (INSA-Lyon, France) in 2007, and obtained his PhD from CREATIS laboratory, University of Lyon (France) in 2012. In 2013, he joined the Biomedical Imaging Group Rotterdam, Erasmus MC (Netherlands) as a PostDoc researcher. From 2016, he is a research fellow in the Imaging-based Computational Biomedicine laboratory at Nara Institute of Science and Technology (Japan). His work focuses on image processing methodologies towards cardiovascular risk assessment. His field of interest includes vascular imaging, image-based biomarkers, ultrasound, intracoronary optical coherence tomography, motion tracking, contour segmentation and machine learning. Su-Lin Lee received the MEng. degree in information systems engineering and Ph.D. degree from Imperial College London, London, U.K., in 2002 and 2006, respectively, for her work on statistical shape modelling and biomechanical modelling. She is currently a Lecturer at The Hamlyn Centre for Robotic Surgery and the Department of Computing, Imperial College London. Her current research focuses on machine learning and shape modelling with application to guidance in cardiovascular interventions. Of particular interest to her are improved navigation and decision support for safer and more efficient robotic-assisted minimally invasive cardiovascular procedures. 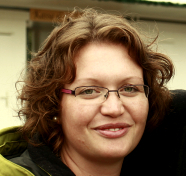 Stefanie Demirci is a Postdoctoral Researcher and Research Manager at Technical University of Munich (TUM), Germany. She received her Ph.D. degree from the same institution in 2011 for her work on novel approaches to computer assisted endovascular procedures. After being a Postodctoral Fellow at the SINTEF Medical Technology lab in Trondheim, Norway, she returned back to TUM where she is currently teaching Interventional Imaging and Image Processing and managing the Computer Aided medical Procedures (CAMP) lab. 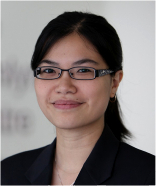 Her current research focuses on multi-modal imaging and image processing, machine learning and biomedical gamification with particular interest in crowd sourcing for biomedical ground truth creation.